Types of paint finishes used for exterior house painting are just as important as the colors, materials and surface preparation - because they too affect the final result (for better or for worse). Unlike interior paint finishes which can be confusing, there are usually only 3 types of paint finishes that most manufacturers offer in exterior products - flat, satin and gloss. 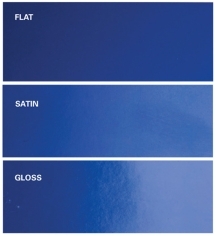 Granted, you may find a product line where a high-gloss finish is available, but that is usually in place of some other finish, and not in addition to the other 3 (for example, you may often find that a flat sheen is missing in the range where high gloss is offered). Or you may find a semi-gloss exterior paint, but it is the only sheen available in that product line. But don't let this inconsistency frustrate you because the 3 main exterior types of paint finishes are the most practical options anyway, and usually widely available. 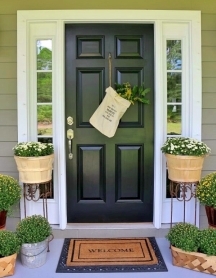 Flat, satin and gloss are typically all the sheens you'll ever need for an exterior painting project because that covers walls, doors, trim and everything in between. Flat paint finish is the most porous of the three and doesn't reflect light. 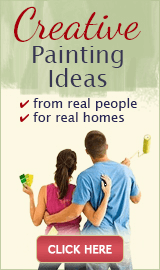 For this reason, it works great for painting older houses - it can help hide many flaws and imperfections on the walls. But because of its porosity, it is not the most durable finish and therefore not suitable for painting horizontal or high traffic surfaces such as doors, windows, railings or floors. Besides, flat paint gets soiled fast, which is especially noticeable with lighter paint colors. So for best looks and results, reserve its use only to the body of the house (exterior walls are usually not touched much). Satin paint finish is the most popular among homeowners - it is neither dull nor shiny and has a subtle sheen that is ideal for painting walls. 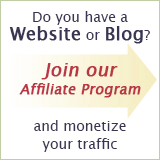 It really dresses up a house and is easy to maintain and keep clean with regular pressure washing. 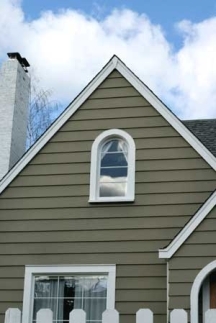 You can even use it on the exterior trim if the body of the house has a flat finish (you need at least 2 different sheens to offset each other, otherwise the overall effect will be too one-dimensional and flattened). Satin paint is more durable than flat paint, but still not hard enough to be used for painting floors, railings, windows or doors. But! 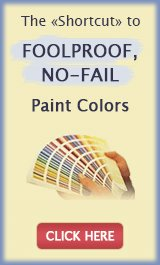 If you like the look of this paint finish and really want to use it for high-traffic areas, you should look for a deck and porch satin paint - it is specifically designed to withstand such heavy-duty use. Gloss paint finish is the toughest and easiest to clean, but must be used sparingly. Glossy paint used for covering the entire body of a house? That would be too much of a good thing and make your home look plastic. Besides, this shiny finish reflects light and will magnify every little surface flaw ten times, so it's better to use this heavy duty paint in places that really need it, like doors and door frames, windows, handrails, outside furniture, etc. Or, you can draw attention to some interesting architectural detail on your house and make it really stand out by strategically painting it in a glossy finish. Since this paint finish is very smooth, it can be slippery, so for painting floors and steps you need to use a floor paint in a finish of your choice (which, in addition to having a more "grabby" finish, will perform and last even longer than regular gloss paint). At the very minimum, you should mix in some sand into the regular gloss paint to add some grit to it (for safety purposes).